The state of South Australia (SA) is establishing a South Australian Space Industry Centre (SASIC). This will be Australia’s first dedicated centre to grow the local space economy and create future high-tech jobs. The announcement was made ahead of the 68th International Astronautical Congress (IAC) being hosted in Adelaide next week which will be attended by more than 3500 space industry leaders from across the globe. 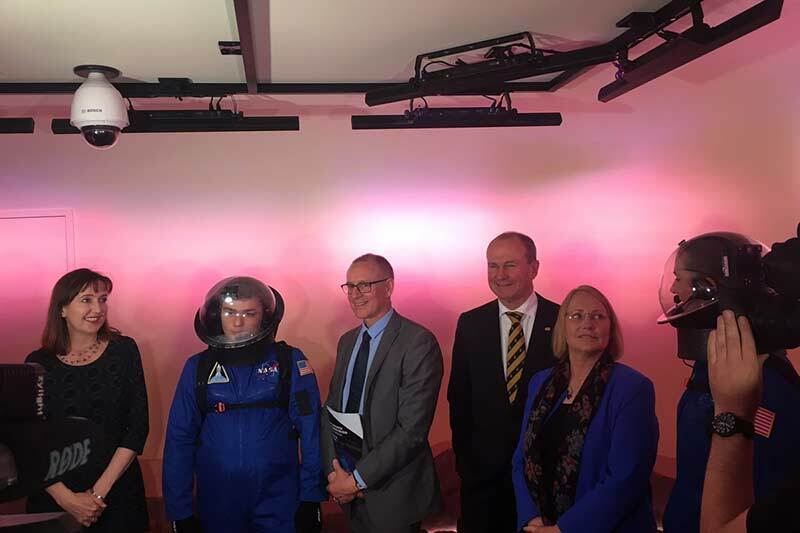 The new Centre was announced at Hamilton Secondary College, which is soon to become the first school in the State with a Space Centre. Students from Hamilton Secondary College will be attending IAC next week as part of the ‘SA Schools Space Mission’. SASIC will build on the work of the existing Space Industry Office at Defence SA to drive space industry innovation, research and entrepreneurial development and taking responsibility for the South Australian Government’s space strategy. Start-up staff will comprise a director, aerospace specialist and senior project officer who will be supported by a representative from Department of State Development and Investment Attraction SA. SASIC will be advised by the South Australian Space Council. The Centre will be located within the existing Defence SA headquarters. It aims to support South Australia’s emerging space industry by providing funding of up to AU$1 million every year to young space entrepreneurs, along with new and existing space start-ups. SA has an existing and growing space industry with companies such as Fleet Space Technologies and Inovor Technologies who are leading innovation locally. Australia’s space industry is worth AU$3-4 billion annually, and employs 11,500 full-time workers. The press release from the SA government states that establishing an Australian space agency would more than double the turnover and number of people employed in the industry within eight years. SASIC is expected to position the state to be part of a National Space Agency – which SA has been advocating for. Earlier this week, an expanded portfolio of Defence and Space Industries was created within the ministry, showing South Australia’s commitment to leadership within the space sector. Last month, SA signed a five-year agreement with the Australian Capital Territory (ACT) to push for a dedicated national agency. The Northern Territory has since sought to join the agreement. In July, the Australian government announced an expert review of the nation’s space industry capability to develop a long-term plan for the growth of the sector. “As an industry, space is growing at more than three times the world annual GDP. The potential is enormous and opportunities abundant. SASIC will deliver opportunities for manufacturers to transition to a high growth sector, enable start-ups to flourish, and create jobs of the future,” the Premier added.